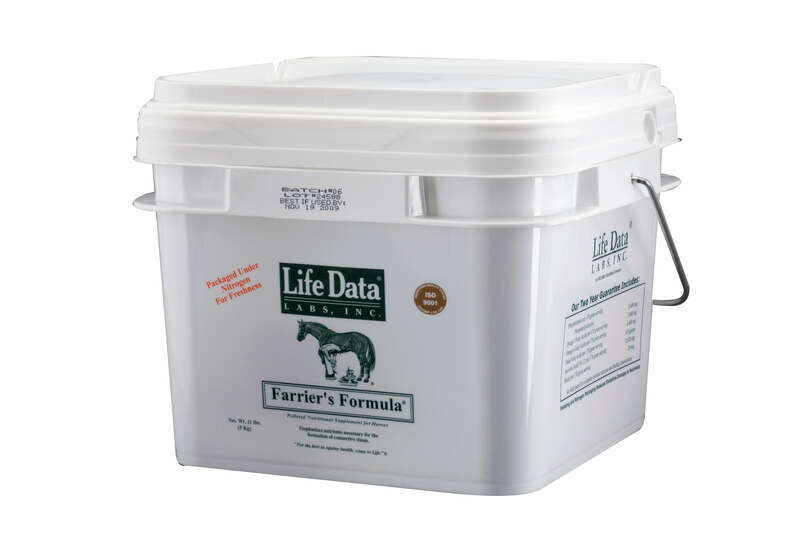 Farrier's Formula contains biotin, methionine & zinc, as well as key amino acids (the building blocks for protein); omega fatty acids; phospholipids; vitamins & minerals. These nutrients make it possible for strong, healthy horn to grow more quickly. It also gives a lovely shine to your horse's coat & strengthens the ligaments & connective tissues of the joints. Feeding Instructions- Feed full amount for 6-8 months. After problems resolve, it might be possible to feed at half the full rate.